The designers at Parker Design are hoarding specialists, completing a number of construction site projects across the United Kingdom. Hoarding signs vary greatly in their content and often serve multiple functions. While the signs are in place to provide safety and security to an upcoming development, they also provide an opportunity to showcase the impending project to engage the public’s interest. 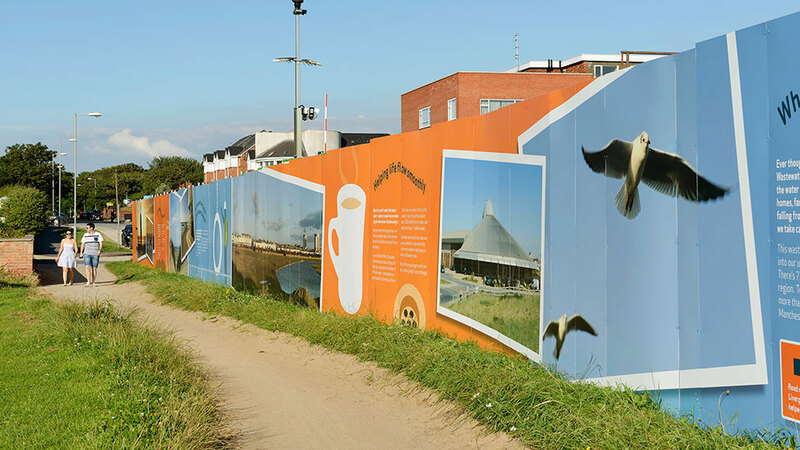 United Utilities commissioned Parker Design for a series of hoarding signs near a popular beach in Merseyside. The site, near Crosby Beach, will feature new infrastructure to combat flooding by implementing essential groundwork. The team at United Utilities wanted to ensure that the public had a clear understanding of who they were, what they were doing and why. For this, Parker created the series on Dibond aluminum composite signs to showcase the company’s investment in positive and localized infrastructure. 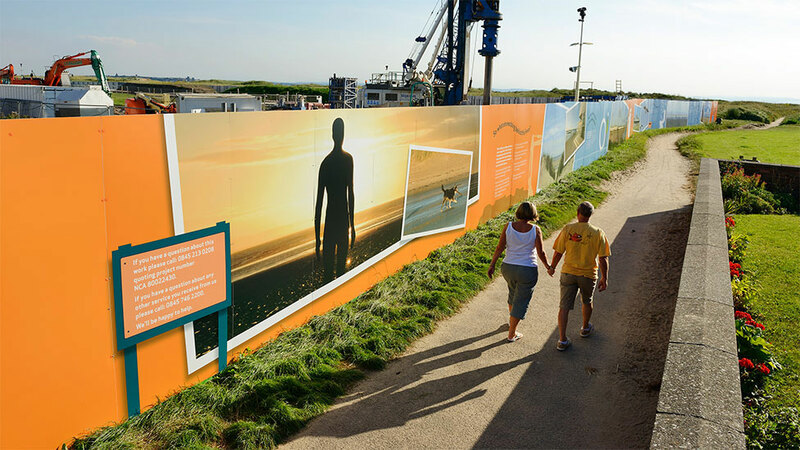 Additionally, Parker used the hoarding project as an opportunity to showcase the recent rebranding of United Utilities as well. Dibond aluminum composite material was specified for its light weight and ability to withstand the windy conditions of a coastal climate.